Put to a vote, I might have been chosen “least likely to succeed” in my New York City high school class. My path has taken me from repairing fighter planes in Thailand during the Vietnam War (a member of the Society of Wild Weasels), and I was lucky enough to arrive at the beginning of the boom times of Silicon Valley in 1978. After 21 years in 8 high technology companies, I retired in 1999. I co-founded my last company, E.piphany, in my living room in 1996. My other startups include two semiconductor companies, Zilog and MIPS Computers, a workstation company Convergent Technologies, a consulting stint for a graphics hardware/software spinout Pixar, a supercomputer firm, Ardent, a computer peripheral supplier, SuperMac, a military intelligence systems supplier, ESL and a video game company, Rocket Science Games. Total score: two large craters (Rocket Science and Ardent), one dot.com bubble home run (E.piphany) and several base hits. After I retired, I took some time to reflect on my experience and wrote a book (actually my class text) about building early stage companies called Four Steps to the Epiphany. It first articulated the distinction between existing companies that execute business models versus startups that search for them – search versus execution is the concept that launched modern entrepreneurship. My latest book, co-authored with Bob Dorf, The Startup Owners Manual integrates 10 years of new knowledge. I moved from being an entrepreneur to teaching entrepreneurship to both undergraduate and graduate students at Stanford, U.C. Berkeley, Columbia, NYU, UCSF and Imperial College. The “Customer Development” model that I developed in my book is one of the core themes in these classes and the core of the Lean Startup movement. In 2009, I was awarded the Stanford University Undergraduate Teaching Award in the department of Management Science and Engineering. The same year, the San Jose Mercury News listed me as one of the 10 Influencers in Silicon Valley. 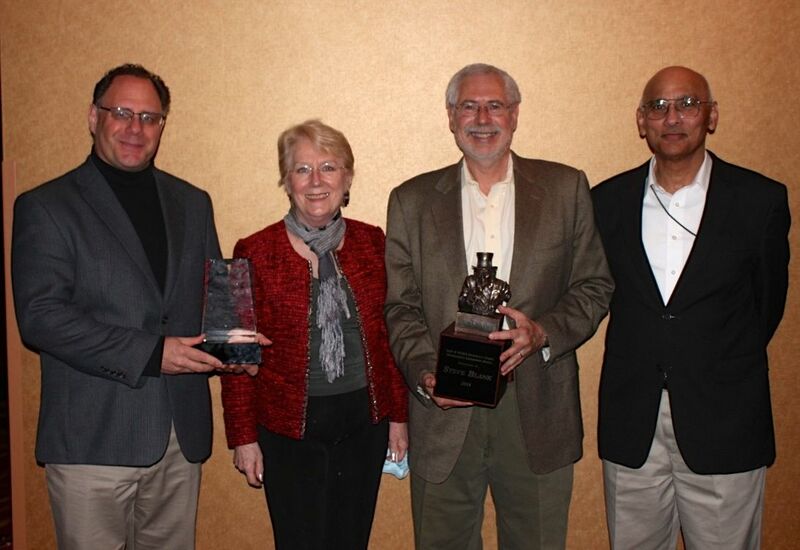 In 2010, I was awarded the Earl F. Cheit Outstanding Teaching Award at U.C. Berkeley Haas School of Business. In 2011 at the request of the National Science Foundation I modified my Lean Launchpad class and it became the curriculum for the NSF I-Corps. 86 universities now teach the class. Science wrote an article about the I-Corps and so did Nature, the Economist, and Forbes. National Public Radio did a story on the class here and so did the San Jose Mercury. I testified in front of Congress about the success and future of the program. In 2012 the Harvard Business Review listed me as one of the “Masters of Innovation” and I was the keynote at the National Governors Conference. My talk was on C-Span here, slides are here. In 2013 Forbes listed me as one of the 30 most influential people in Tech. The May 2013 Harvard Business Review cover story was my article, “Why the Lean Startup Changes Everything” and in June I won the 2013 Silicon Valley Visionary Forum award, and the same month my wife and I were honored with the 2013 Northern California Environmental Leadership award. All my coursework, syllabuses, and presentations can be found here. In 2012 I put my Lean LaunchPad class on-line and over 350,000 students are taking it. The NY Times had a few things to say about my work here, here and here. In 2013 I partnered with UCSF and the National Science Foundation to offer the Lean LaunchPad class for Life Science and Healthcare (therapeutics, diagnostics, devices and digital health.) 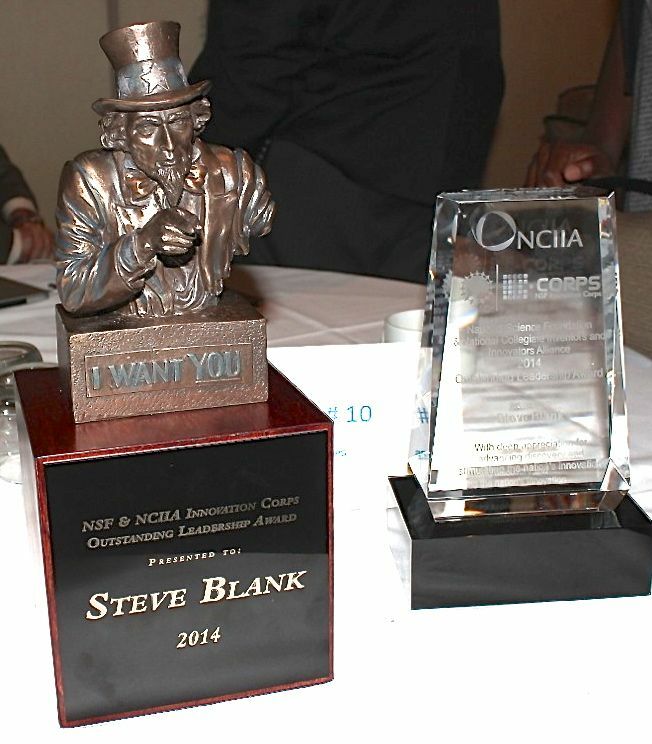 In 2014 the National Science Foundation and NCIIA awarded me the Outstanding Leadership Award for my work on developing the Innovation Corps curriculum. In 2014 I took the UCSF Life Science curriculum, and in conjunction with the National Science Foundation, we developed and launched the I-Corps@NIH program. Four National Institutes of Health divisions; NCI, NHBLI, NCATS and NINDS sponsored 21 teams in therapeutics, diagnostics and medical devices to accelerate how research gets from the lab bench to the bedside. In 2015 I helped launch the Lean LaunchPad for Synthetic Biology in the UK at Imperial College in London. I began co-hosting the Entreprenuers Are Everywhere radio program on SiriusXM channel 111. My second article in Nature described the I-Corps @ NIH class. In 2016 I co-launched two new classes at Stanford – Hacking for Defense and its sister class – Hacking for Diplomacy. Stanford, Bloomberg and the LA Times talked about the classes here, here and here. I made the list in the Thinkers 50 global ranking of management thinkers. In 2017 the Hacking for Defense class I co-authored became a federal program as part of the National Defense Authorization Act. I testified in front of Congress about expanding the National Science Foundation Innovation Corps. (My Stanford class is the curriculum.) My article on startup founder behavior was in the November 2017 issue of the Harvard Business Review. I’ve guest written for several publications including the Huffington Post, Wall Street Journal, Harvard Business Review, Forbes, IEEE Spectrum, NikkeiBP and the Peoples Daily. I also followed my curiosity about why entrepreneurship blossomed in Silicon Valley and was stillborn elsewhere. It has led to several talks on The Secret History of Silicon Valley. I served as a public official on the California Coastal Commission for seven years, (the agency which regulates land use and public access on the California coast,) I was on the board of the California League of Conservation Voters (CLCV), the Expert Advisory Panel for the California Ocean Protection Council as well as on the boards of Audubon California (and its past chair), the Audubon National Board as well as the Peninsula Open Space Land Trust (POST) and I was a trustee of the U.C. Santa Cruz foundation. I was the commencement speaker at Philadelphia University in 2011. The text of the speech is here. In 2013 I was the commencement speaker at the University of Minnesota. Text of the speech is here. In 2014 I was the commencement speaker at ESADE Business School in Barcelona. Text of the speech is here. I was the 2016 commencement speaker at NYU’s engineering school. In 2017 I was the commencement speaker at Dalhousie University. NPR selected the Philadelphia University speech as one of the 300 best commencement speeches in the last 300 years. 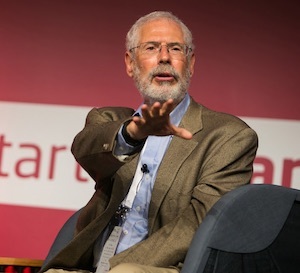 Steve Blank electrifies corporate audiences with actionable tips for how to drive continuous innovation sharing the same battle-tested processes that Lean Startups use to achieve success. Steve – considered one of the fathers of modern entrepreneurship – is a serial entrepreneur-turned-best selling author and educator who has changed the way startups are built, how entrepreneurship is taught, and how big companies and the U.S. government innovate. He is the author of the startup bibles The Four Steps to the Epiphany and The Startup Owner’s Manual, books that entrepreneurs of all stripes rely on to build successful ventures and corporate and government organizations use to deal with disruption. His Harvard Business Review cover story, Why the Lean Startup Changes Everything, explained how companies could use the Lean Startup to counter disruption and implement innovation at speed. Best Fireside Chat we’ve ever heard. My company learned a lot about dealing with disruption. We made changes right after the conference. Steve Really Helped Define the Role of Chief Innovation Officer and how to think about an innovation pipeline. Dealing With Disruption: How culture, process and people need to adapt and adopt in the world of continuous disruption. Harnessing Your R&D Department: How every federal research agency adopted Lean Startup methods to commercialize science – 1,500 teams of our best scientists and counting – and learn how your company can as well. Creating an Entrepreneurial Ecosystem: Silicon Valley’s role as an entrepreneurial powerhouse has its roots in the Cold War, not a Palo Alto garage. Steve explains how the Silicon Valley came to be and how you can create an entrepreneurial ecosystem in your region. Steve is also a frequent speaker and unofficial historian on how Silicon Valley came to be. His Secret History of Silicon Valley talk is considered the standard history of why entrepreneurship blossomed in Silicon Valley while stillborn elsewhere.